News, news news Ladies and gentleman. The Ship equipment window is almost done and I’m proud to show the final version of it (or close to it). It will be pretty simple to use (as you see on the picture, it’s pretty intuitive). 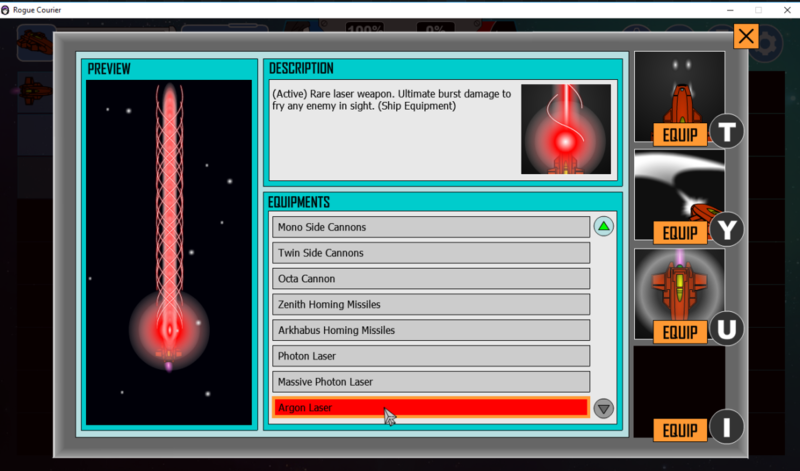 You will be able to combine different kinds of weapons for different kinds of strategy on the space shooter. Also, as a sidenote, we intend to have some new content on this month cycle for Free and Silver Patrons, so keep yourselves ready.